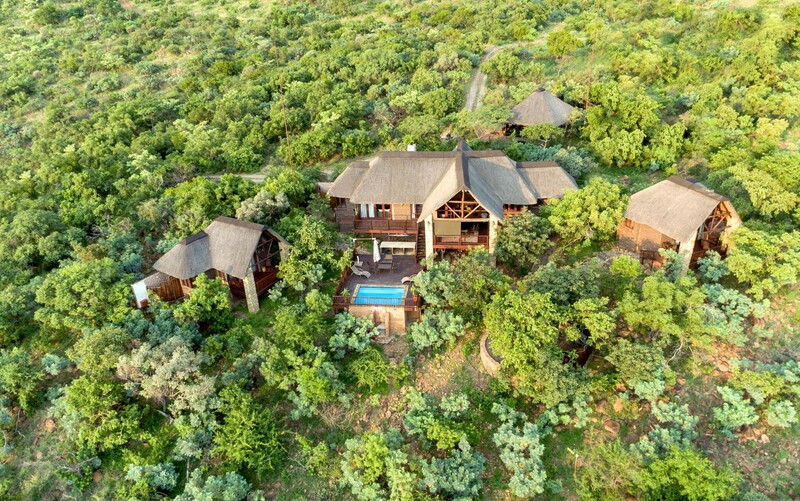 Warthog Lodge is the ideal getaway for those who want to experience nature in stylish comfort. The Lodge can accommodate up to six adults and two children in the main house and two separate chalets. Just bring your own food and beverages. Decorated with a distinct African flavour, Warthog Lodge lies within the Mabalingwe Nature Reserve. The Reserve boasts rolling hills, spectacular scenery and dams. With prolific bird-life and 36 species of wildlife – including the Big Five, to mention just some of the wonders that await you. The resort is 210 km's from O.R. Tambo Airport. From O.R. Tambo Airport, take the R21 towards Pretoria. Follow the N1 towards Polokwane; this is a toll road with two toll gates, one at the Carousel and the other just after Zambezi. Take the Bela-Bela (Warmbaths) R516 turn off. Cross the railway bridge into Bela-Bela (Warmbaths) and turn immediately left into Potgieter Street. Follow Thabazimbi/Rooiberg R516 signs, travel for 27 km's. The resort is on your right. 2. Left Chalet. Sleep 2 Adults. Minimum stay of 2 nights. The Left Chalet has a bedroom with a king bed, en-suite bathroom and outdoor shower. The Left Chalet cannot be booked on its own and has to be booked together with the Main House. 1. Main House. Sleep 2 Adults. Minimum Stay of 2 Nights. The Main House consists of the living and dining area, kitchen, scullery, pantry, guest toilet and the main bedroom. This bedroom has a king bed, en-suite bathroom and outdoor shower. The main house should always be booked. 2 Young children can be accommodated on camp beds. The Main House to be booked with every booking. 3. Right Chalet. Sleep 2 Adults and 2 Children. Minimum stay of 2 nights. The Right Chalet has a bedroom with a king bed, bunk bed, en-suite bathroom and outdoor shower. The Right Chalet cannot be booked on its own and has to be booked together with the Main House.